A land where children and grown-ups have fun together! A family-friendly place for all thrillseekers. You have reached the land of happiness and laughter, because at Miramagica, joy and fun are at home. You can find us in the heart of the Herastrau Park. 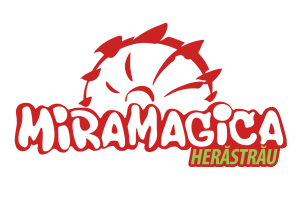 Discover the rides and attractions of Miramagica! We are ready to entertain your whole family. Start and don't stop untill you have experienced the most thrilling sensations. Miramagica is the place where dreams can come true. At Miramagica, you will experience special events worth retelling throughout the whole summer. Feel the most thrilling sensations together with your loved ones.